Cats can have a sense of humor and sometimes it happens when we least expect it. 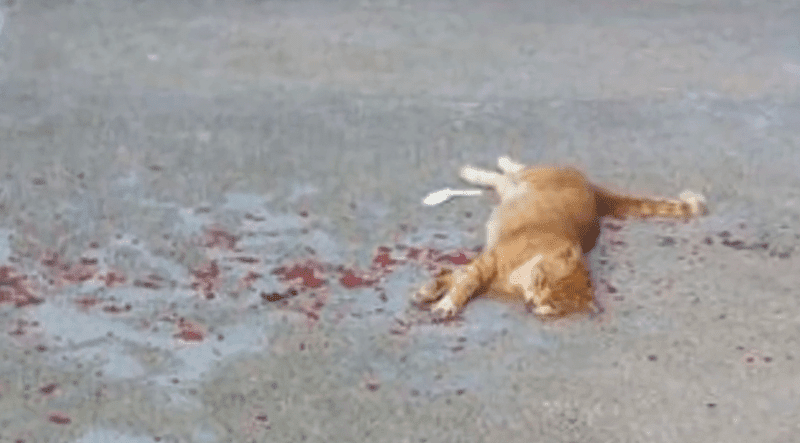 This man saw the poor cat with what he thought was a cat “bleeding out”, but when he rushed over to rescue the poor kitty, he got a real surprise! The cat walked right up and looked very startled at the man coming towards him and simply walked away, the man was stunned and when he looked down he saw it was just paint splashes that spilled from someone carrying bright red paint!